FINALLY AN ACTIVITY THAT IS FUN FOR BOTH KIDS AND ADULTS! 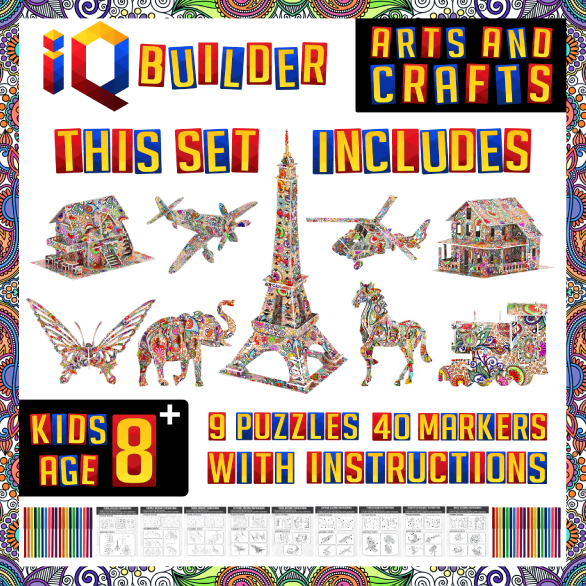 – ® has Created a Brand New and Unique Set of 3D Art Coloring Puzzles that is Fun for Children Boys and Girls Ages 8+ and also Fun for Parents and Adults. 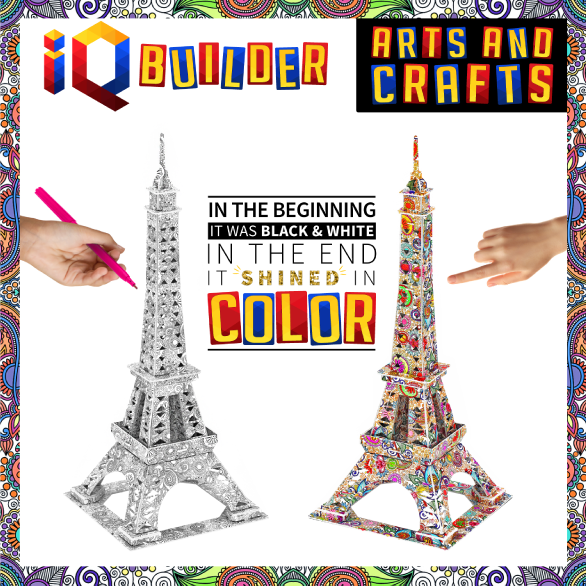 Our Puzzles are Designed to Flex Mental Muscles and put the Cognitive parts of the Brain to work during the Building Phase while Relaxing the Mind to Reduce Stress during the Coloring Phase! benefit from coloring as a form of Therapy for Relaxation and Stress Relief and unplugging from Technology also Promotes Creativity over Consumption! 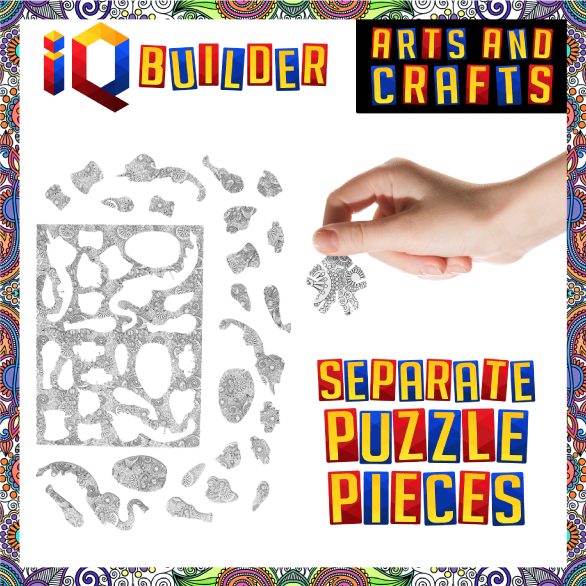 BENEFITS OF SOLVING PUZZLES FOR CHILDREN AND ADULTS – Solving Puzzles Flexes Mental Muscles and Provides many Benefits for both Children and Adults including but not limited to Enhanced Memory, Focused Conentration, Accelerated Creativity, Improvement of the Entire Thought Process, Production of Dopamine and Meditation. You will get Immense and Long Lasting Benefits out of doing Puzzles on Daily Basis! 10 Coloring Markers. 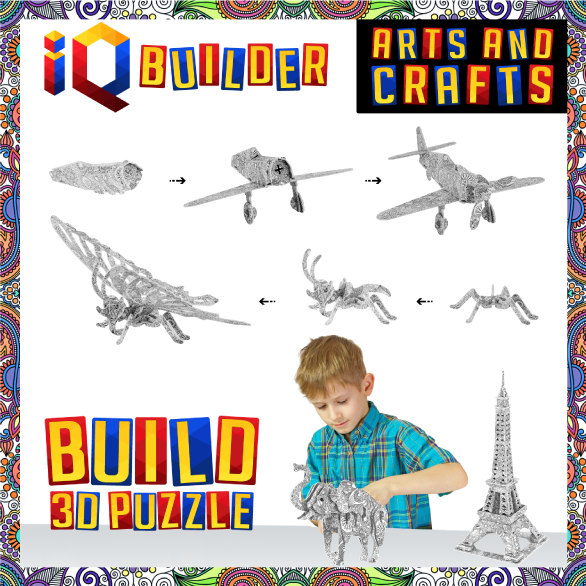 You get to Assemble and Color 3 Vehicles – Airplane, Train and Helicopter – 3 Animals – Butterfly, Horse and Elephant – 2 Houses and a BIG EIFFEL TOWER! This is more than enough to keep you Engaged for Multiple Hours. 100% MONEY BACK GUARANTEE – We stand behind our products and offer a 30 day no question asked money back guarantee on all our products. Avoid potentially dangerous fakes and cheap imitation knockoffs of ® products by purchasing directly from us. Other sellers may not be as concerned about your safety as we are! 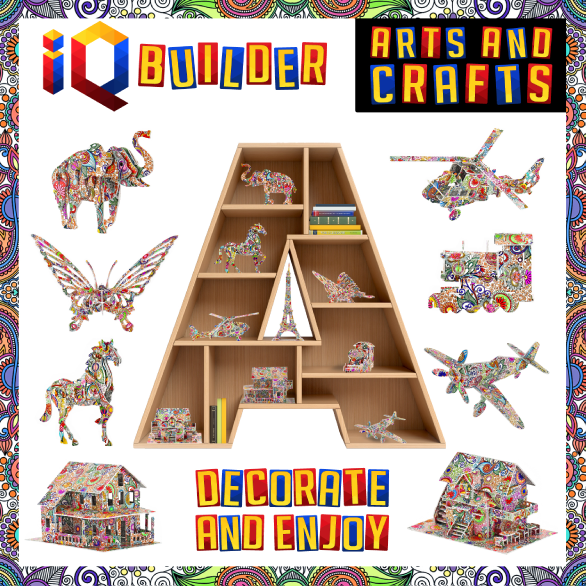 In a world of iPhones and iPads, it is a refreshing to find and educational toy for the entire family that is fun to play with and fosters creativity. All four of my children play with this toy set and they range from 5 to 14 years of age. It is wonderful to have everyone off their iPhones and iPads once a week and build something together as a familys! 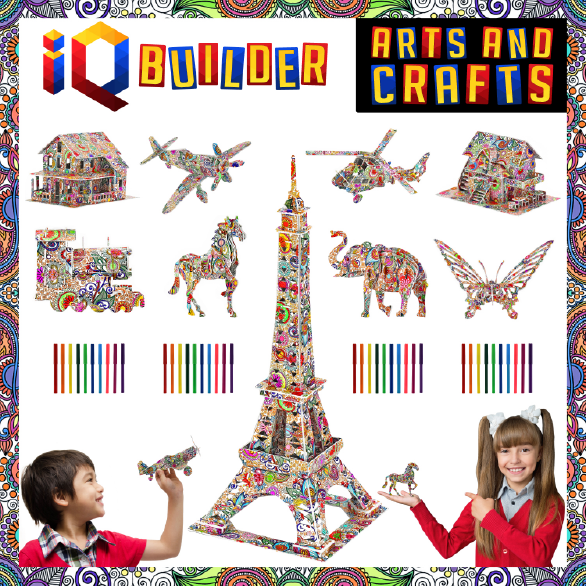 In a world of iPhones and iPads, it is refreshing to find and educational toy for the entire family that is fun to play with and fosters creativity. All four of my children play with this toy set and they range from 5 to 14 years of age. It is wonderful to have everyone off their iPhones and iPads once a week and build something together as familys!